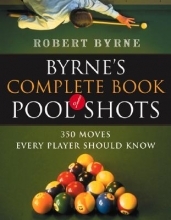 An in-depth compendium of more than 350 pool shots covers everything from tickys and double-kisses to jump shots and diamond systems, providing expert diagrams of lesser-known techniques, in an instructional guide for players of any experience level. Original. 25,000 first printing.